The Easter holidays have flown by, I must admit, that I really don't like it when the kids go back to school. I much prefer the noise and the fuss when they are around. 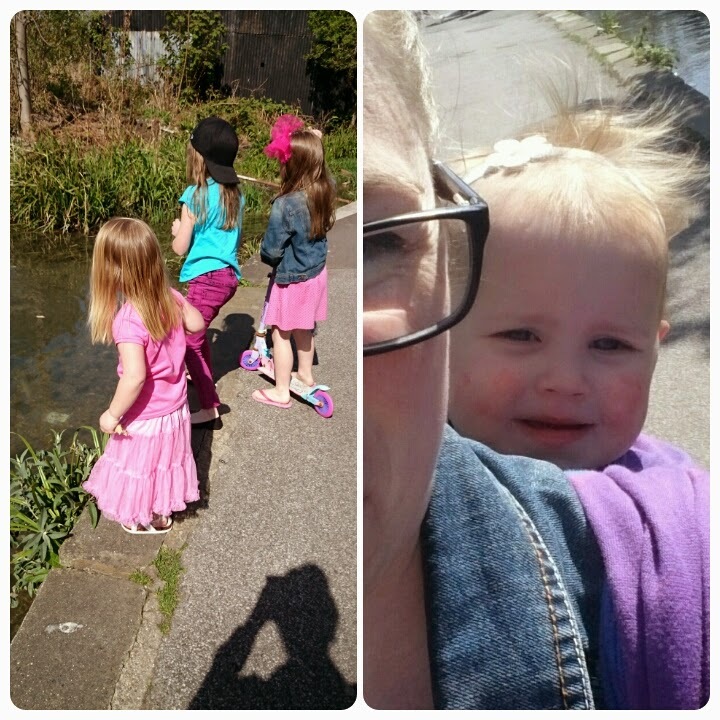 This week we have been trying to make the most of the sunshine and we also found out that Gracie will be attending the same school as her sisters, so happy yet emotional at the same time. 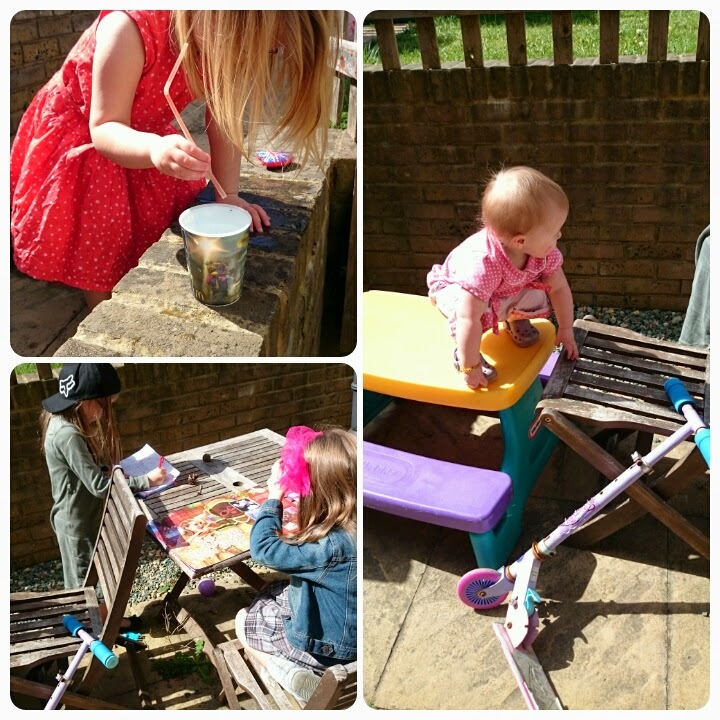 For now, here is this weeks project 365 round up. Sunshine in the garden. Gracie informed me that she was cleaning my garden wall. 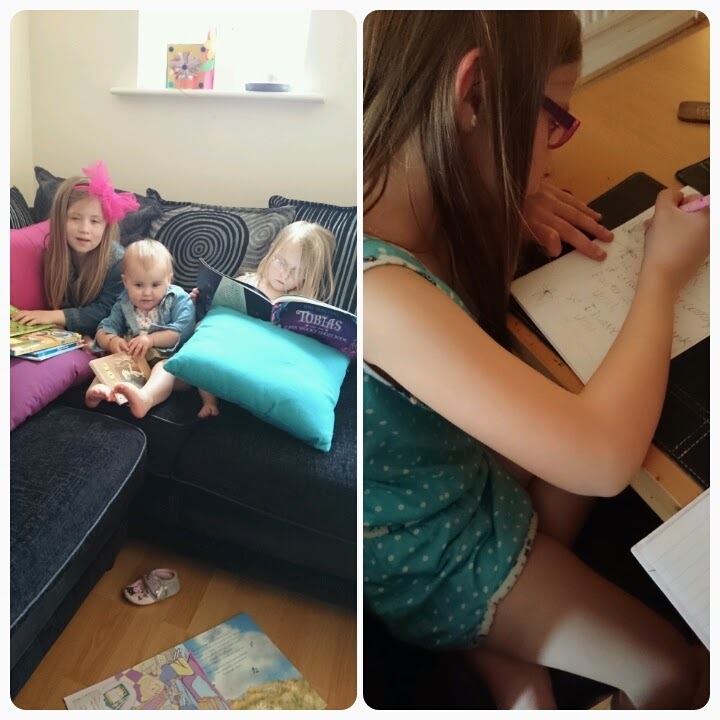 Elise and Freya were busy writing and Layla was doing what she does best, climbing!! Daddy's first day off of the week so we took them out to the park and of course the scooters had to come to, even Layla managed a little scoot. 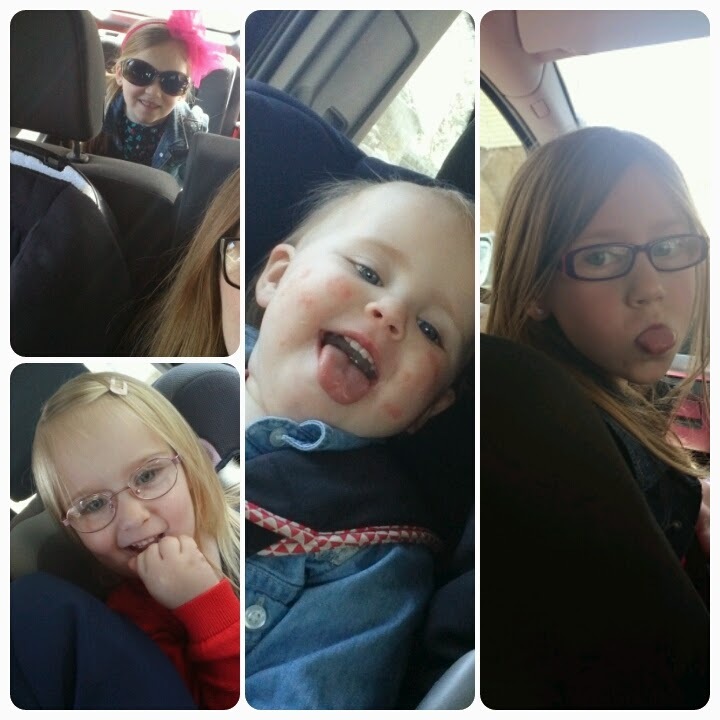 Car trip, time to drive to another destination to enjoy the sunshine elsewhere, Daddy Hazelden even treated us to dinner!! 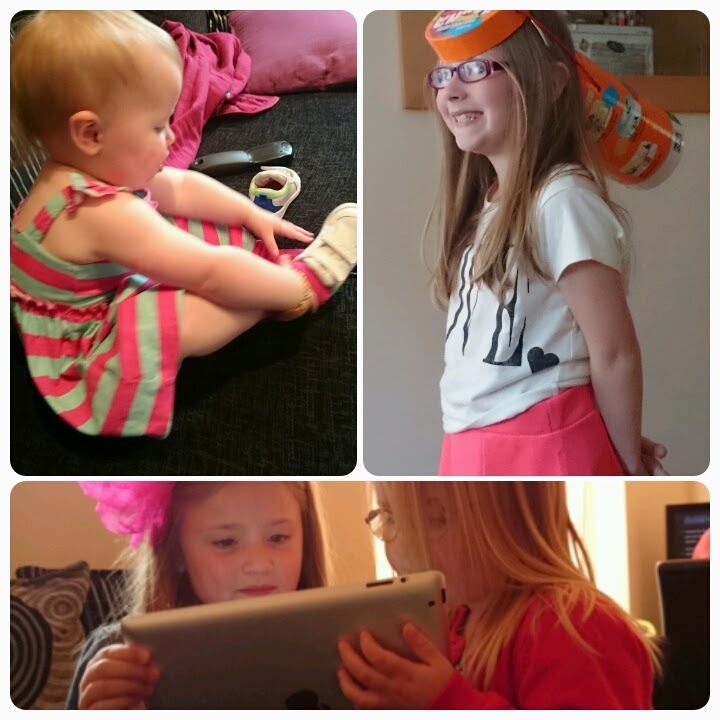 Layla was putting her own trainers on, Elise gave herself a new hairstyle and Freya and Gracie were taking pictures using the iPad. Uncle Alec came to visit and gave the girls their very own "personalised" eggs, Elise was less than impressed and asked where the chocolate was lol. 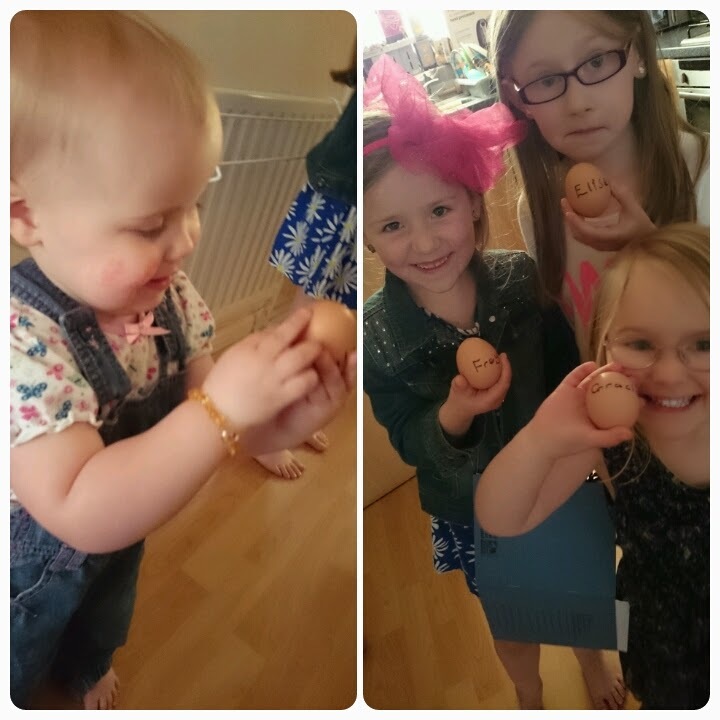 Lol at the personalised eggs, I can understand why Elise was less than impressed ha ha! Love the pic of little Layla climbing on the table, she is such a cutie. It's been so nice to see the sun this week - looks like you have all enjoyed it! Loving the personalised eggs - I think Emmy may have cried if she was given one instead of chocolate lol. Looks like they have had a lovely week. Such lovely pictures of the girls but I really like day 106 where each has a unique and charming expression! ha ha ha at daddy on the scooter, and oh dear at the wee monkey climbing, typical toddler!! Hope you enjoyed the meal. 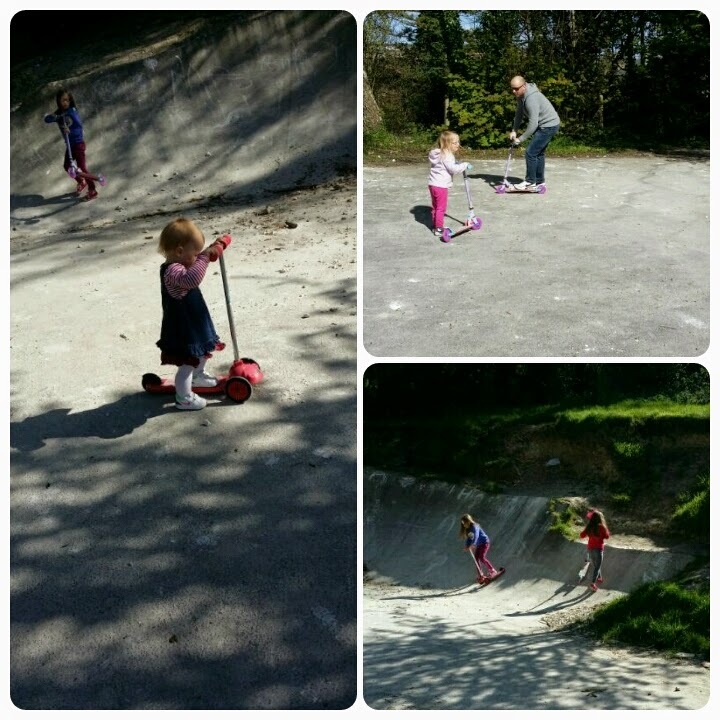 Those scooting photos are fabulous, show such exploration and effort. hahahaha those eggs are brilliant!